Sharing a meal with your loved ones is always a special moment but doing it In Florida while on vacation on Anna Maria Island takes it to a whole new level. Combining the ocean view with an incredible dining setting makes for an unforgettable fun vacation experience. 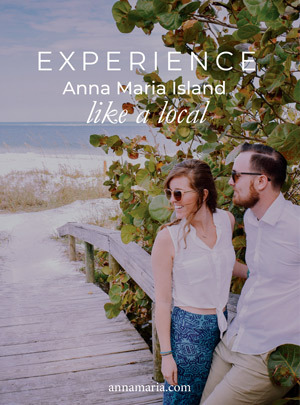 Although Anna Maria Island has a ton of restaurants, some with a waterfront view, and some without; having dinner while experiencing one of its infamous sunsets is something you must see before you do home. The Waterfront Restaurant is known for its spectacular food, especially dishes like shrimp and grits, Chesapeake crab cakes, grouper Oscar, grouper tacos, and fried green tomatoes. The Waterfront Restaurant is the place to go for a variety of irresistible food. Located just a few steps away from the Anna Maria Pier, you can sit porch-side which will give you a nice breeze off the gulf. As you sit on the porch, you will have a nice view of the Skyway Bridge off in the distance. This kind of romantic backdrop is the perfect scenario for a surprise proposal or an anniversary dinner. Anna Maria City Pier Restaurant offers a more casual dining experience – from grouper to calamari or hot dogs to Mahi-Mahi, their menus offer something for the whole family. The combined marina and bay activity is half of the attraction. You may spot a dolphin or two gliding by as fishermen cast their net. Anna Maria City Pier Restaurant is one of the Islands most popular attractions. You can enjoy a large variety of seafood dishes as well as vegetarian, or burgers. You won’t want to miss out on the live music, and cocktails on the Gulf while enjoying a meal that will make memories to last a lifetime. The Rod and Reel Pier is located on the North side of Anna Maria Island with views ranging from Tampa Bay to the Gulf of Mexico. Popular for their Grouper and other fresh Seafood, they also have a full breakfast menu, and is a popular place to catch the sunrise and sunsets. The Historical Bridge Street City Pier is at the end of Bridge Street, tucked alongside Shopping and the Marina on Bradenton Beach. The Anna Maria Oyster Bar is located here as well and serves dinner, cocktails, and of course, oysters. You can enjoy a view of the pier, open water, and marina while dining at this Anna Maria Island gem. The Beach Bistro offers coastal cuisine at its finest. Their Grouper sandwich was declared as being in the ten best memorable dishes by the Tampa Tribune. You will find that you can eat likely royalty here without breaking the bank. The Sandbar restaurant is an award winning, beachfront seafood restaurant, with a full bar and fine dining options. This is also a great place to plan a beach wedding, or celebrate a special occasion with your loved ones. The sunset view is in popular demand for many residents and visitors alike. Gulf Drive Café offers casual beachfront dining with a sports bar atmosphere. You will find dancing and festive tropical cocktails here which are perfect to celebrate fantastic sunsets. 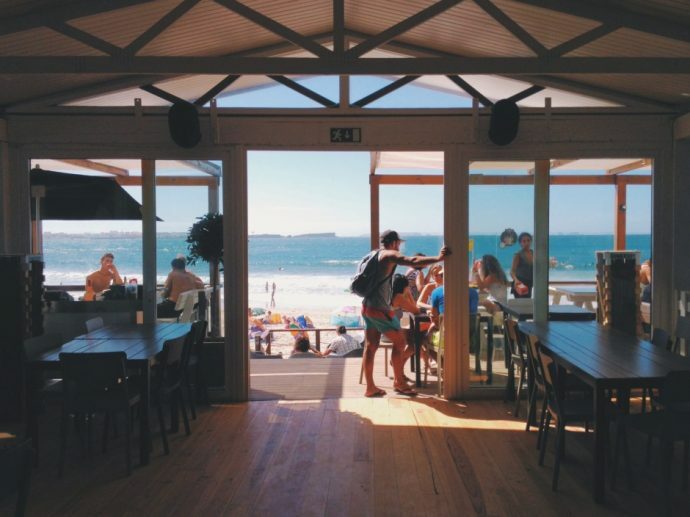 The breakfast by the bay is a personal favorite if many which is why this Café is so popular. Bridge Street Bistro is an elegant bistro that sits on the second floor, above the Island Time Bar and Grill on the fabulous Bridge Street. With balcony seating overlooking the Gulf beaches, you’ll enjoy happy hour with the background of magnificent sunsets and a coastal view. This casual resort dress code allows comfort and luxury. Known for their large selection of steaks, you will find some of the finest Filet. We suggest pairing it with the Lobster bisque. The Beach House has an award-winning menu, and when paired with a delightful wait staff, it makes for the perfect family friendly restaurant. The Beach House has plenty of room for kids to play on the beach while you enjoy the sunset, a tropical drink, and fresh Florida cuisine. The Bridge Tender allows families to relax and enjoy this Lively American bar & eatery. You can choose from indoor seating at the bar/restaurant or dining room or the Dockside bar along the marina. This local hot spot is super popular because of its laid back, casual ambiance. You can come and listen to live music, have refreshments and make new friends at The Bridge Tender. You have a lot of options when it comes to waterfront dining on Anna Maria Island, so the hardest decision you have to make is which one you want to dine at for the evening! After your meal, you’ll need to curl up with a full belly, and we have the perfect selection of vacation rentals for you to enjoy.